New research has shown that women with a healthy body mass index (BMI) were more likely to experience endometriosis, however, obese women were at higher risk of having severe forms of the disease. The study, at the Royal Women’s Hospital and University of Melbourne, involved 500 women and is the world’s largest to compare BMI with endometriosis that has been clinically diagnosed by surgery – the only way to accurately diagnose the debilitating condition. It found that while the rate of endometriosis was much lower in obese women, obese women were more likely to have severe forms of the disease. The average disease severity score of obese women was two times higher than that of healthy weight women. 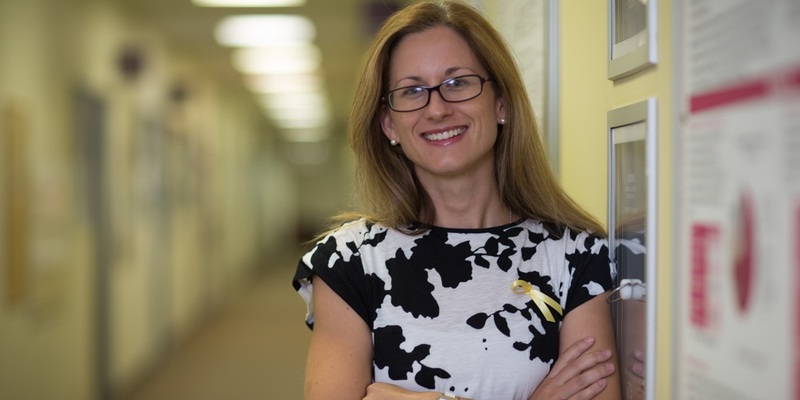 Published in the Journal of Endometriosis and Pelvic Pain Disorders, lead researcher Dr Sarah Holdsworth-Carson, from the Women’s and University of Melbourne, said the study sheds new light on the condition which affects one in 10 women. “This study has important clinical applications, with surgeons now aware of the need to provide more time for surgery in obese women as they are more likely to have extensive endometriosis requiring removal,” Dr Holdsworth-Carson said. “Previously, it was commonly suggested that only ‘skinny’ women get endometriosis, but our study shows that this is not the case. The average women with endometriosis has a BMI in the upper healthy range, not ‘skinny’ or underweight. Dr Holdsworth-Carson said this research provides further evidence that endometriosis has a link to metabolism. This research is part of Australia’s largest and most comprehensive study into endometriosis which has so far recruited more than 700 women who have been diagnosed with the disease by surgery, and includes information about body shape, lifestyle and their tissue samples. As part of this larger study, researchers are exploring the genetic drivers of the disease. While previous research has shown that women with lower BMI are more likely to suffer from endometriosis, no large study had been able to verify it with women who had been surgically diagnosed with the condition, relying on women to self-report endometriosis which may not have been clinically diagnosed. More severe endometriosis is linked to greater prevalence of lesions in the body, however, pain levels are not necessarily associated with severity of the disease. Despite its prevalence of endometriosis, there are limited treatment options for women and, as diagnosis usually can only be made by surgery, it can take many years before women receive a diagnosis. Samantha Styles, 31, had her appendix and gall bladder removed before doctors finally diagnosed endometriosis as the cause of the pain. "There are times it feels like someone is stabbing you in the back and your pelvis and your thighs." She is currently taking medication to induce menopause in a bid to stop the pain. “But I’m only being advised to be on it for six months because of my age and the risk on my bone density and I am now at the end of the time. The study, published in Journal of Endometriosis and Pelvic Pain Disorders, was funded by the National Health and Medical Research Council.